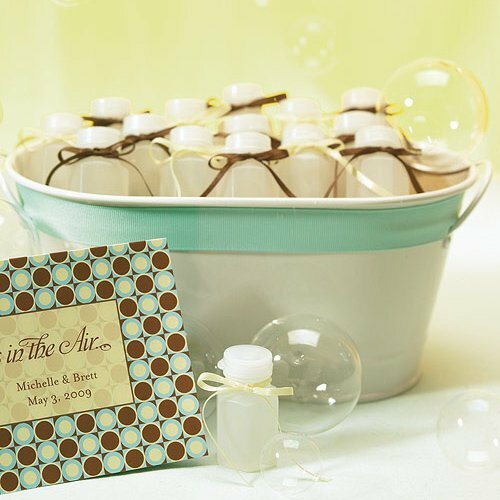 A great alternative to rice and confetti, these small 1 oz bottles of bubbles are a great way for guests to participate in the celebration. 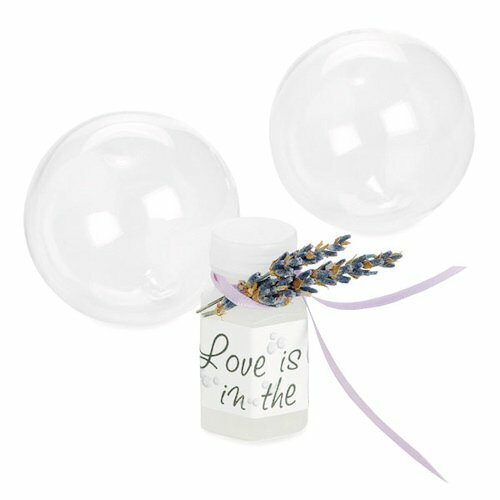 Bubble bottles are plain with no decorations or stickers (photo shows them dressed with ribbon and matching love is in the air stickers which can be purchased separately). 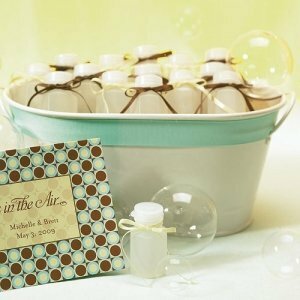 Sold in sets of 24 with minimum order of 6 sets.